December | 2015 | This will all make perfect sense someday. December 13th. I love it. First up this week, Christmas lights. I love it. 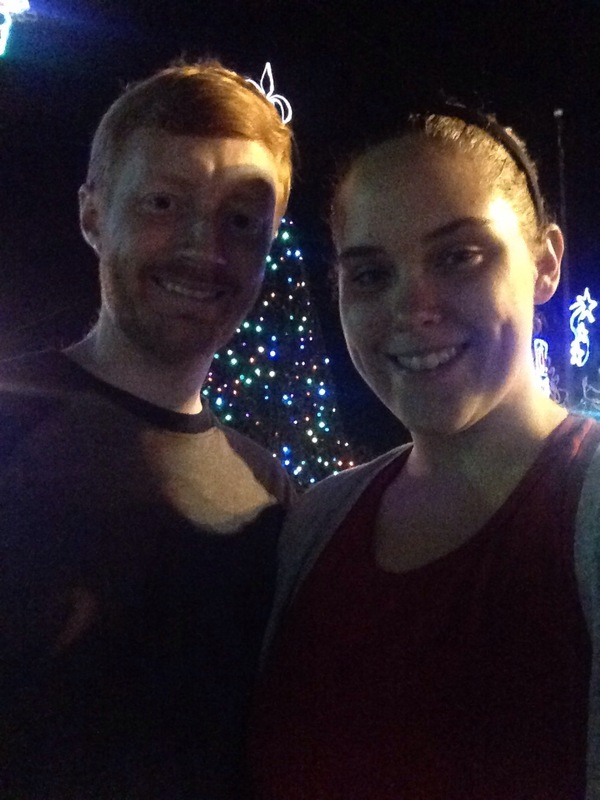 Brian and I have a tradition where we go to see the lights at Lafreniere Park. The display is very cool and very fun to walk through. This year they added a light up pirate ship in the pond! So cool! Very festive! Next up, Nintendogs. I love it. Since things didn’t work out with Arthur, I decided a digital dog was the way to go. It’s actually really fun! I have a golden named Cooper and a beagle named Jasper. They are both really good at the disc competitions. If you’re like me and want a dog but don’t have the lifestyle for one, you should check this game out. Finally, celebrating Christmas. Since next weekend is going to be busy for us, Brian and I exchanged gifts last night. He is so wonderful! He got me Star Wars pajamas, a griddle (which I used twice today), and a sweatshirt that I’ve been asking for. He’s such a good listener! I love him! December 6th. I love it. First up this week, “Newsies.” I love it! Brian bought tickets to one of my favorite musicals for our anniversary last month and Friday was the day of the show. I was so excited and the show didn’t disappoint. They changed up the storyline a little bit from the movie, but everyone in the play was so talented and it was funny and sad and wonderful all at once! I’m so glad Brian likes to go to the theater too! Next up, Christmas movies. I love it. This week I took the liberty of recording a bunch of things on TV to watch later and I marked a lot of stuff on Netflix. So far I’ve seen a lot of my favorites (most of the classics), Pete’s Christmas, Pooh’s Christmas, and The Grinch. Next on my list? “Christmas Vacation.” It’s my favorite. Finally, lazy Saturdays. I love it. I had off yesterday so I was bound and determined not to leave the house. I did that very successfully. I did get my workout in (in the superhero room), showered and got right back into pajamas. Throw in some college football, a nap, and movies? Perfect day if you ask me.